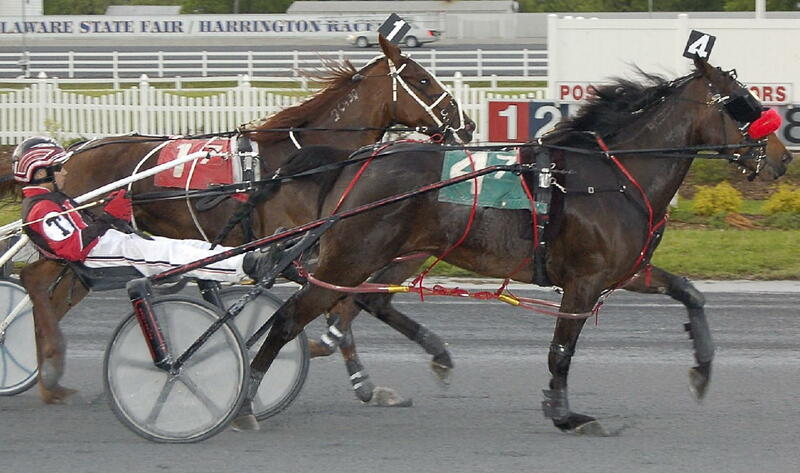 Harrington Raceway’s closed the doors on its 63rd year of live racing Thursday with a 15-race program that featured a number of closing night awards. 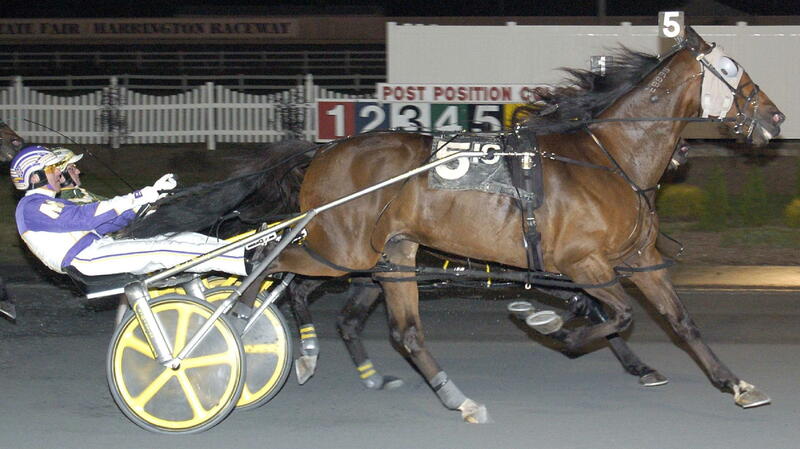 George and Tina Dennis and Ask W Stables’ Fivedollarsforsox ($8.80, George Dennis) surpassed $100,000 in seasonal earnings with a 1:56.4 win in the Wednesday’s $21,700 Junior Open Trot at Harrington Raceway. Lloyd Arnold’s Delightful Diva ($26, Tony Morgan) scored a wire-to-wire win Tuesday at Harrington Raceway in the featured $25,000 Mares Open. The richest card in Harrington Raceway’s 63-year history took place Monday as Strollin Stable, Bill Robinson and James Koehler’s Won the West ($11, David Miller) prevailed in the featured $322,000 Bobby Quillen Memorial. 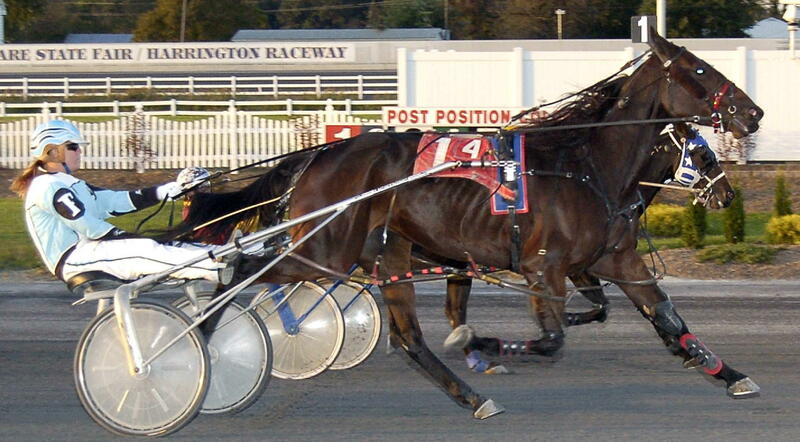 Victor Kirby and Matthew Ivory’s Allmar Surprise ($7, Kirby) picked up her third straight win and ninth of the year Wednesday at Harrington Raceway with a 1:56 win in the $21,700 Junior Open Trot. The draw for Harrington Raceway’s signature event, the 3rd Annual $322,000 Bobby Quillen Memorial for free-for-all pacers, was completed Wednesday afternoon as part of a banner Monday program that will offer nearly $1 million in total purses. Russell and Elaine Mackinnon’s Keystone Rhythm ($12, Ross Wolfenden) earned her fourth win of the year Tuesday with a 1:55 triumph in the $20,000 Mares Junior Open. 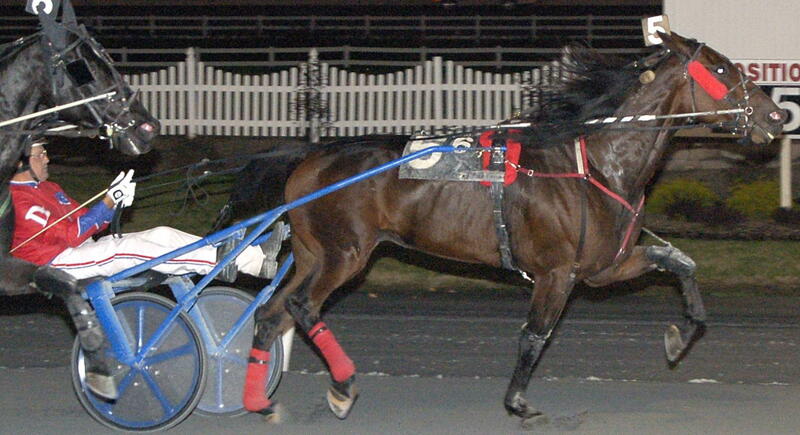 The 3rd Annual Bobby Quillen Memorial's eliminations at Harrington Raceway were underway Monday as Joseph Muscara’s Mister Big ($2.40, Brian Sears) and Burke Racing, Weaver Bruscemi and Jjk Stables’ Foiled Again ($4.60, Yannick Gingras) each won their respective divisions. A total of 10 horses were entered Wednesday in Monday October 19 3rd Annual running of the Bobby Quillen Memorial at Harrington Raceway. A total of six $20,000 divisions of the first leg for pacers in the Delaware Standardbred Breeders Fund (DSBF) stakes for 2-year-old pacers were held Monday at Harrington Raceway for pacers. Harrington Raceway and the Kent County SPCA joined forces to host a wildly successful ‘Pet Adoption Day’ during the races Sunday evening during the races at Harrington. 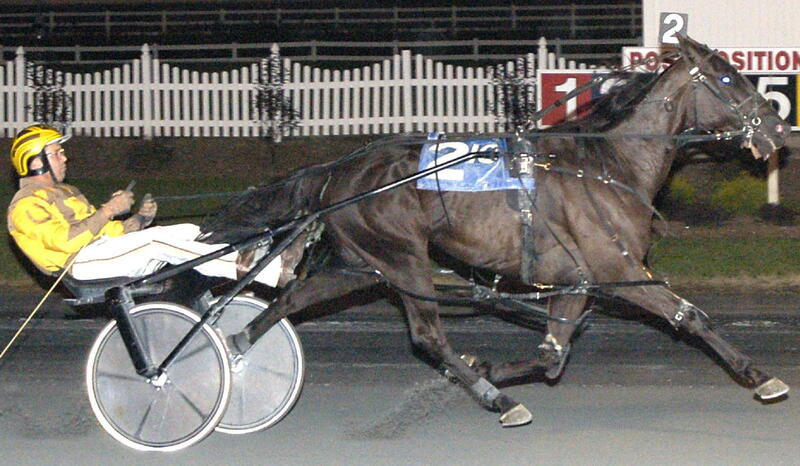 The Mildred Williams Driving Series returned to Harrington Raceway Sunday for the third consecutive year. 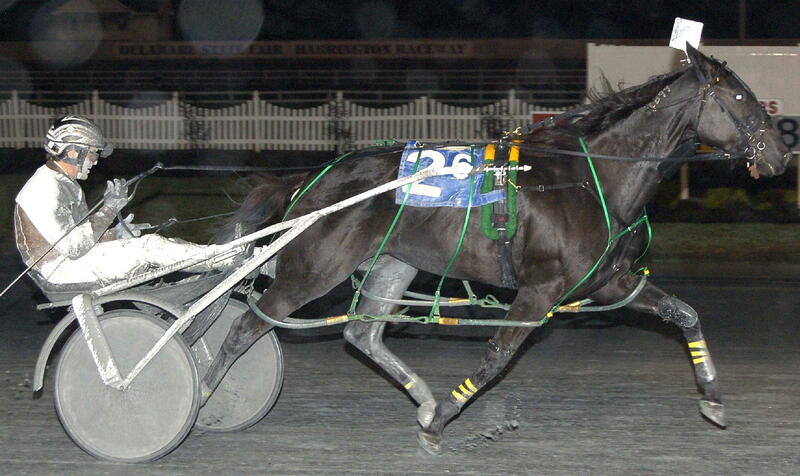 Driver Jim Morand registered his 8,000th driving win Monday at Harrington Raceway when he piloted Chipoffablueblock ($4.80) to a two length score in the 10th race. 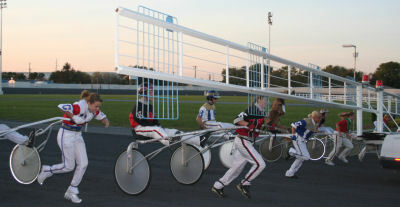 Rickshaw rumble races featuring humans as horses were contested Sunday at Harrington Raceway, with all proceeds going to benefit Horse Lovers United. 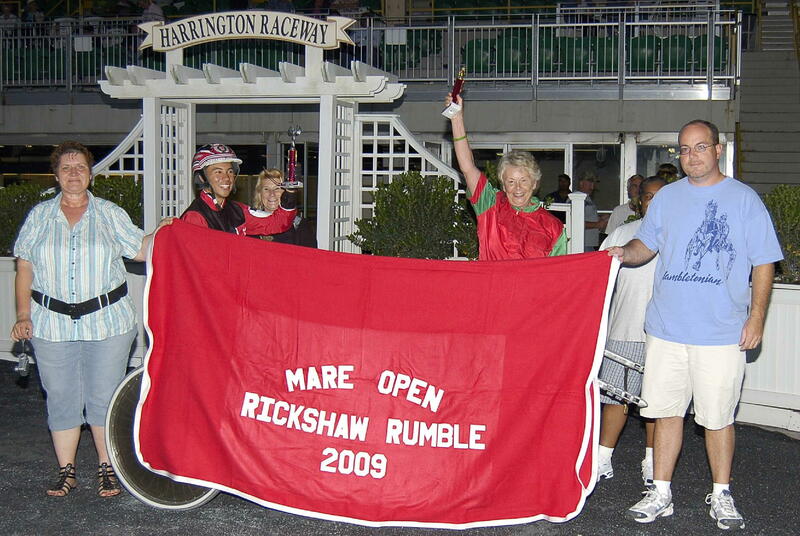 The annual Rickshaw Rumble to benefit Horse Lovers United, Inc (HLU), a non-profit horse rescue organization based in Salisbury, Maryland, will take place this Sunday, September 27th at Harrington Raceway in Harrington, Delaware. Harrington Raceway and driver Corey Callahan will team up with the Kent County SPCA to present “Pet Adoption Day” at the track on Sunday, October 11. 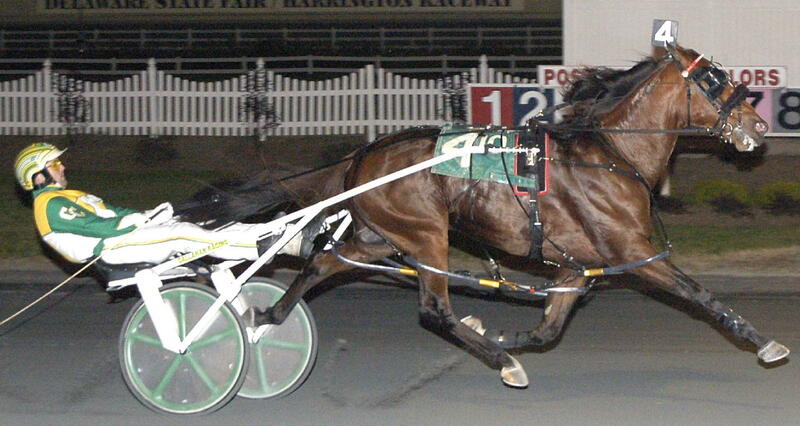 Post time is 5:15 pm at the track, located at the state fairgrounds off Route 13, in Harrington, Delaware. 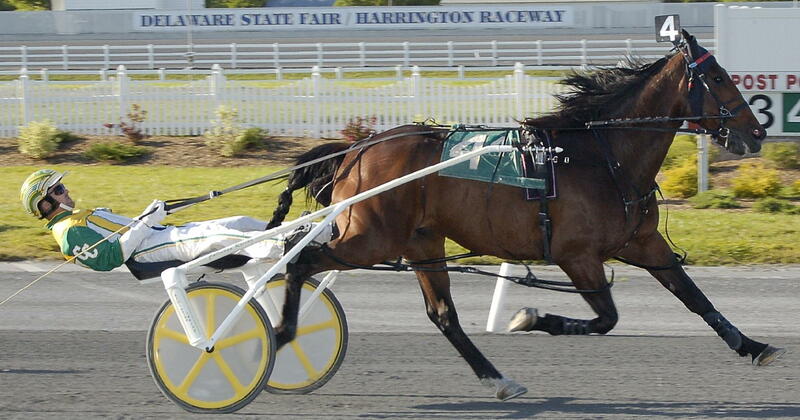 Driver Corey Callahan notched his 1,000th win at Harrington Raceway Tuesday aboard Nick Callahan, Dylan Davis and Erica Hanley's Scootin Delta A ($2.40) in 1:54.4. 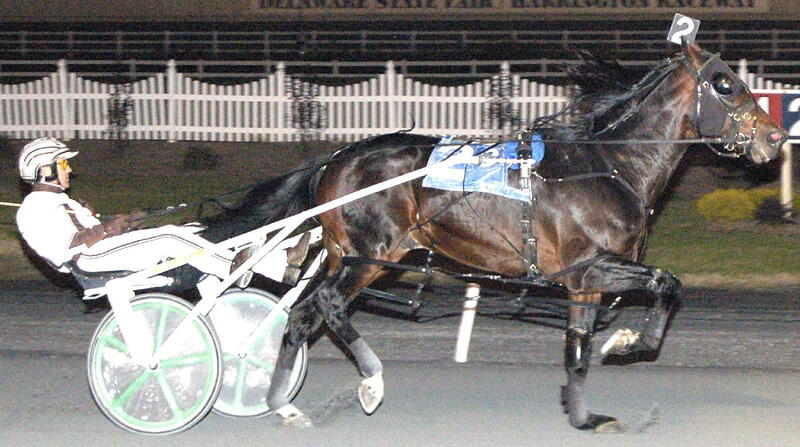 Montrell Teague earned his first driving win Thursday at Harrington Raceway, piloting Jason Johnson and Stanley Johnson's Mememe ($4) to a one length win in the seventh race in 1:57.2.